They are every little girl's dream for the holiday. 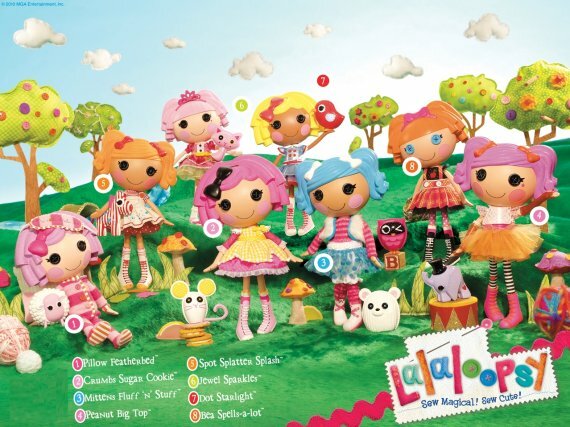 Lalaloopsy Doll Poems capture all the sweetness and personality of these lovable little ragamuffins. Though they were once rag dolls, each of these eight precious little things came to life when they were fully stitched together. Each took on the personality of the material used to create her. We think you’ll love these special poems from the writers at My Word Wizard. We invite you to share in the fanciful world of these magical characters. TM & © MGA Entertainment, Inc.
Are you a poet or aspiring poet. Our editors are always looking for new poems to add to our collection. Submit your Sweet Lil' Poems to our editors by clicking the "contact us" link at the bottom of this page.